A former employee of a Fox-owned television station committed suicide on Monday in front of the 21st Century Fox corporate headquarters in Midtown Manhattan. Phillip Perea, an ex-employee of Fox 7-KTBC in Austin, Texas was handing out flyers accusing Fox News of ending his career moments before he shot himself, according to a law enforcement official. Fox Television Stations CEO Jack Abernethy spoke of the shooting in a memo to staff that was acquired by The Huffington Post. "This morning, a former employee at FOX 7-KTBC (Austin) committed suicide outside FOX Television Stations' (FTS) headquarters in New York City," Abernethy wrote. "He was employed at our Austin television station for ten months and has not been with the station or FTS since June 2014. We are deeply saddened by this tragedy." Perea was rushed to Bellevue Hospital Center where he was later pronounced dead. 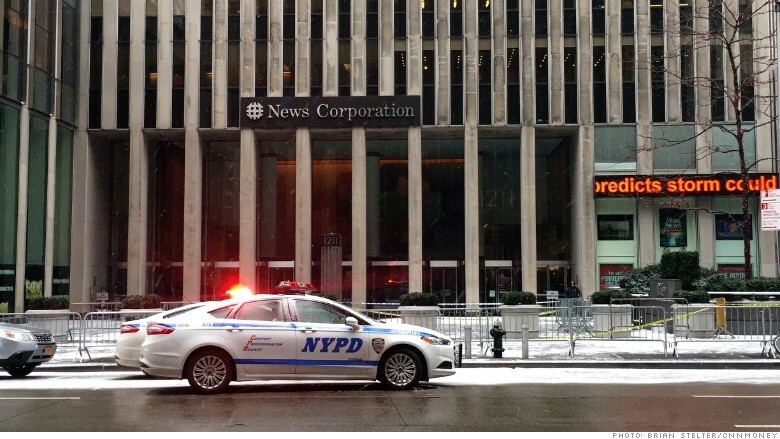 After the shooting there was crime scene tape outside the building, which is also the headquarters for 21st Century Fox, the sprawling media company controlled by Rupert Murdoch. The Fox News Channel has ground-floor studios at the building. Perea did not work at Fox News Channel. But he invoked the cable news channel's name in online complaints. Perea had posted a long list of YouTube videos titled "American Workplace Bully: How Fox News Ended My Career." In the sometimes rambling videos, published over the course of many months, Perea said he was "fired for dubious reasons" from KTBC. Perea's complaints against Fox News could not be immediately verified. In recent days he sent Twitter messages to Fox anchors, commentators and other media figures unconnected to Fox, urging them to watch his YouTube videos. In some of the messages he claimed that "Fox executed an innocent man," apparently referring to himself. Perea was 41 years old. CNN's Shimon Prokupecz contributed reporting to this story.